FSB’s recent presentation at the 26th Annual Statewide Preservation Conference by Fred Schmidt, FAIA was a part of a series of presentations that focused on projects in various stages of preservation. 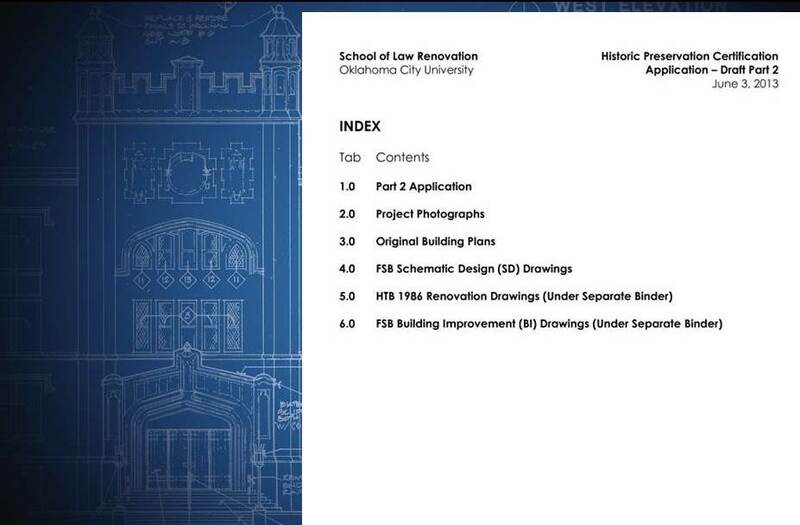 FSB’s presentation featured a current project for the Oklahoma City University School of Law which is the third use type of what was originally Oklahoma High School but later known as Central High School. The prior lives of the building were as a high school and then an office building. Our presentation focused in 2 topics; the history of the building and the process of rehabilitation which is ongoing at this time. The history of the building was the subject of the last Blog post. We’ll now focus on the process of rehabilitation. The US National Park Service (NPS) is the overseer of preserving the historic fabric of our great country and they have published a broad spectrum of papers and guidelines on the subjects of preservation, rehabilitation, restoration and reconstruction. 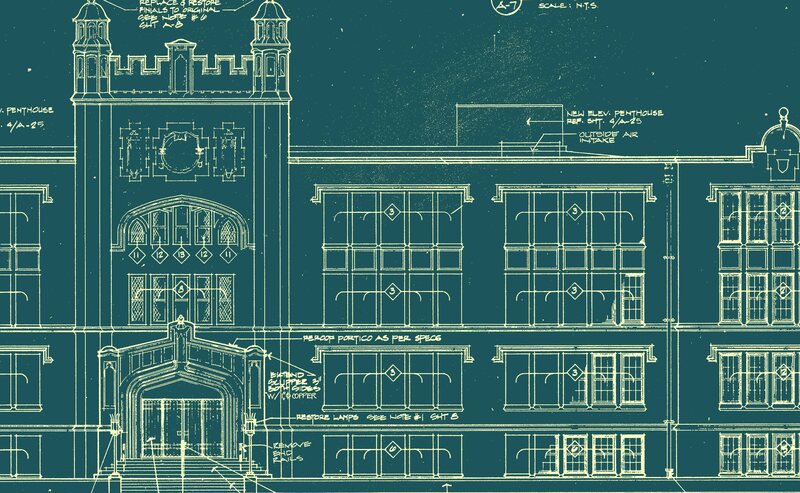 FSB’s OCU School of Law project is primarily focused on preservation. When federal funding becomes a part of the funding of your project it initiates the historic preservation submission process to the NPS. 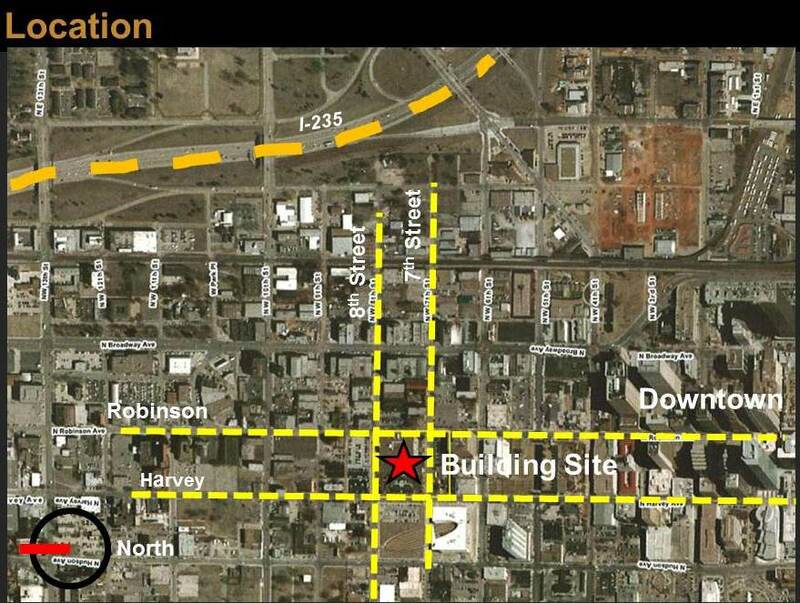 The federal funding for the law school project is coming in the form of a 20% Federal Historic Tax Credit for which Oklahoma has a 20% match which only recently came out of a moratorium. That’s beaucoup money and becomes a make or break tipping point for many projects to move forward. Pursuing the Federal Historic Tax Credit is a 3 Part Submission. 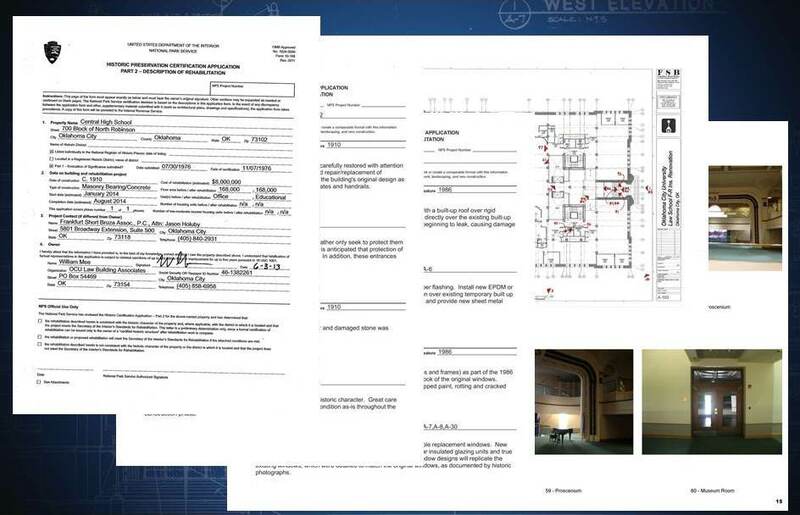 Part 1 contains information about the significance and appearance of the building. Part 2 describes the condition of the building and the planned rehabilitation work. Part 3 of the application is submitted after the project is complete and documents that the work was completed as proposed. a 31 page submission outlining every component of the building and identifying it with descriptive text as historic or non-historic. 33 pages containing a total of 132 photographs. FSB’s Part 2 submission was accepted by the NPS and we were off and running until the client decided that they really needed to replace the exterior windows which were in serious need of refurbishing. 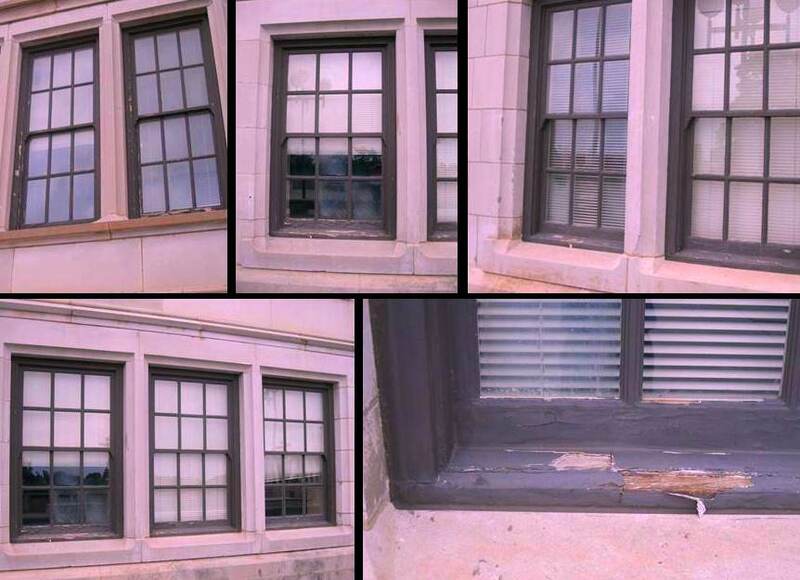 This started a new round of submissions with the NPS beginning with Amendment 1 to the Part 2 submission requesting approval to replace the windows. This became a significant ordeal with its own ups and downs that will be explored in the next post. Experience the Evolution of Design is brought to you by FSB architects engineers planners. Demystifying Architectural Character – what style is this?